From the start everyone knew that the big names like Optimus Prime, Megatron, Starscream and Bumblebee would be included in the short list of must have characters, but after that, all other sort of names started popping in and out from various news sources. Some were familiar, like Ironhide and Ratchet...while others were definitely headscratchers like...Blackout? 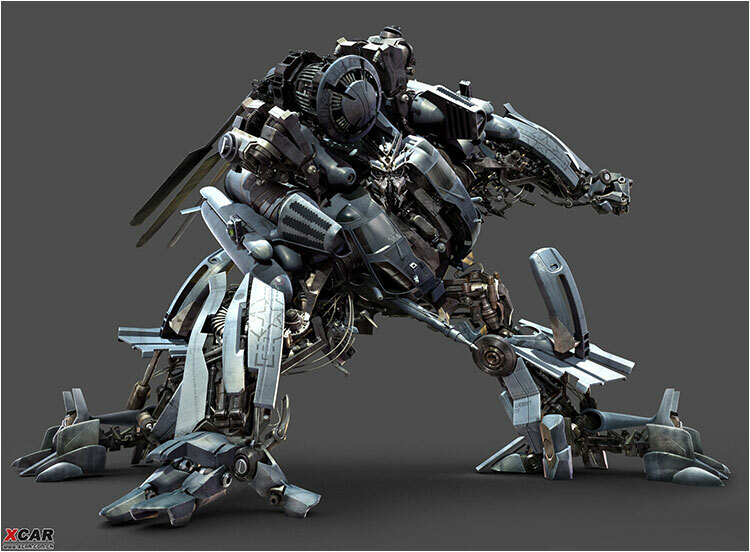 Prior to the live action movie, the name Blackout was not connected to any iconic or popular Transformer character. 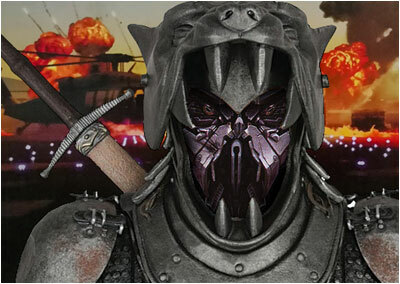 Initial reaction was that “Blackout” was just a stand in name for some other more known Transformer. As months passed, more details came out about this mysterious character. First, it was established that he was a Decepticon and that he transformed into a militaristic helicopter. 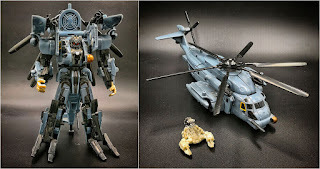 News also arose of another Decepticon called “Devastator” that transformed into a tank, so fans speculated that these two could actually be the Decepticons Vortex & Brawl respectively, who were members of the military themed sub group, the Combaticons. Then news of another Decepticon named “Scorponok” came out. While Scorponok was known by fans as a gigantic Decepticon base from the G1 fiction, this movie version was definitely different as he was much much smaller and described as a “minion” of Blackout. So speculation switched that Blackout was now the working name of another more iconic Decepticon Soundwave who was known to have “minions”. 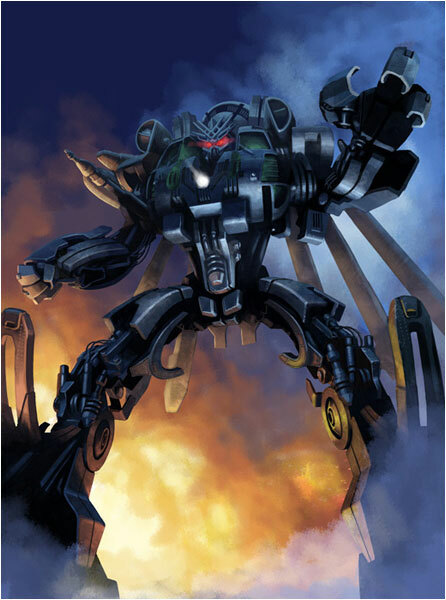 Also similar to Soundwave’s character, Blackout was described as a Decepticon fiercely loyal to his leader and referred to as Megatron’s hound. 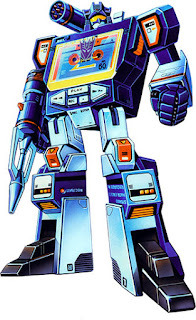 The original G1 Soundwave transformed into a walkman which at this point in time was obsolete, so it made sense to the fans that any modern representation of Soundwave would entail him having to transforming into something else more practical, and a helicopter seemed as good a choice as any. In the end, it turned out that fans weren’t that far off with their speculation as Blackout WAS originally conceived as an early version of a movie Soundwave. In the end though, the producers decided to save Soundwave for a later movie and make Blackout into his own original character. 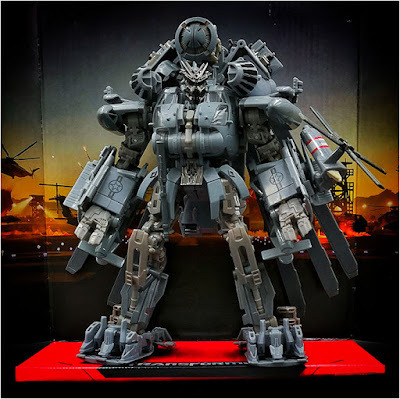 As one of the few “original” characters conceived for the first live Transformers movie, Blackout stands out as one of the most memorable and significant for a couple of reasons. First and foremost, I could be mistaken but his toy was the first toy from the movie line that was revealed online. 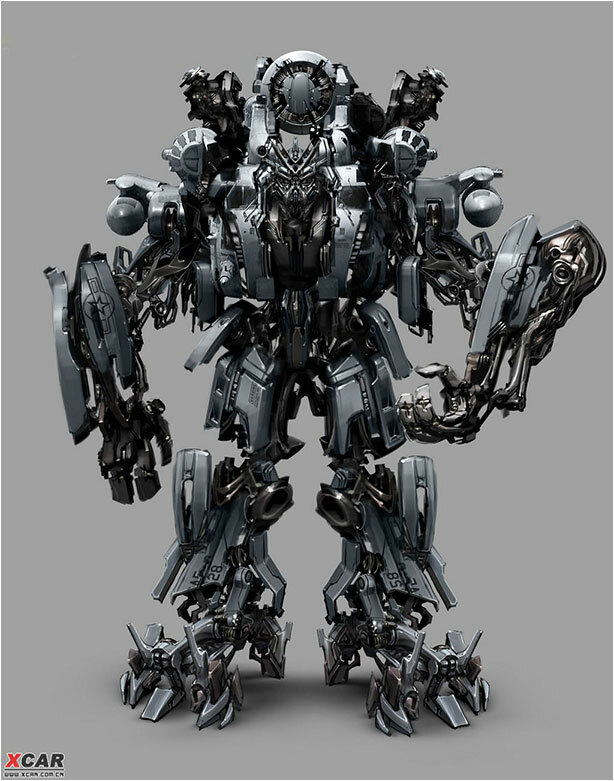 Prior to that, fans had already seen a bunch of concept art for the new look of the movie Transformers which for better or worse was a major departure from the familiar boxy robot look we were used to from the original toys, cartoons and comics. So naturally, we were all curious (or concerned) about how this more organic and scrap metallish movie look would translate into toy form. I remember actually being quite impressed with how the Blackout toy looked. While definitely different from what we were used to, I thought he looked cool...and more importantly quite menacing. 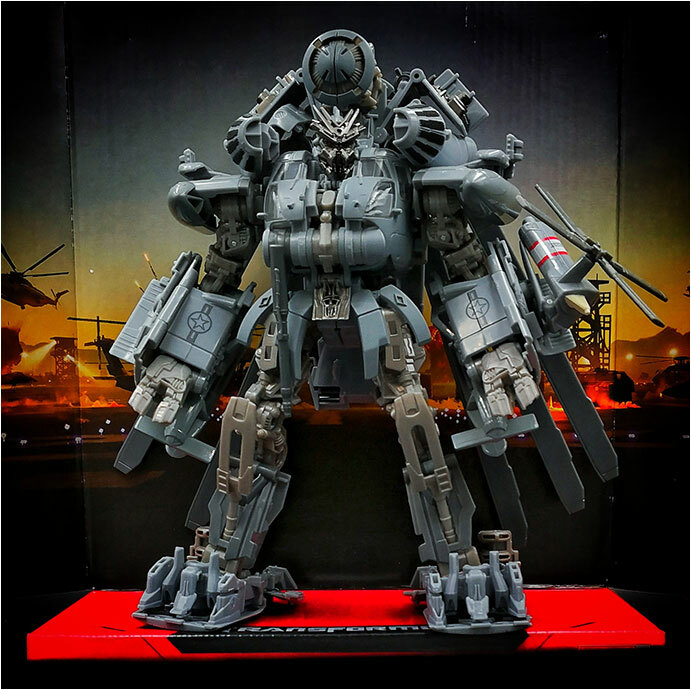 More importantly and significantly than being just the first toy revealed, Blackout was the first Transformer to appear in the movie. In the opening minutes of the movie we see his mysterious unidentifiable helicopter ominously land on a military base, transform and begin to lay waste on the unfortunate soldiers. It’s this iconic opening sequence that is forever etched in Transformers fans’ minds as the first time they saw an actual Transformer in live action on the movie screen. Unfortunately, after this most memorable scene, Blackout is rarely seen throughout the rest of the movie and only returns for the final climactic battle where is ultimately killed by an unfortunate but well placed shot to his crotch by one of the human lead characters. Despite his rather inglorious end, Blackout still has remained a favorite to many Transformers fans like myself. So much so that he has actually managed to live on in other Transformers media. 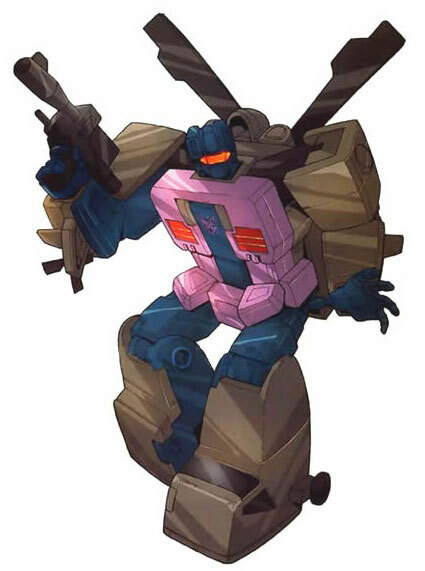 While he was only briefly featured as a background character, a Decepticon named Blackout was created for the popular 2007 cartoon series Transformers Animated. 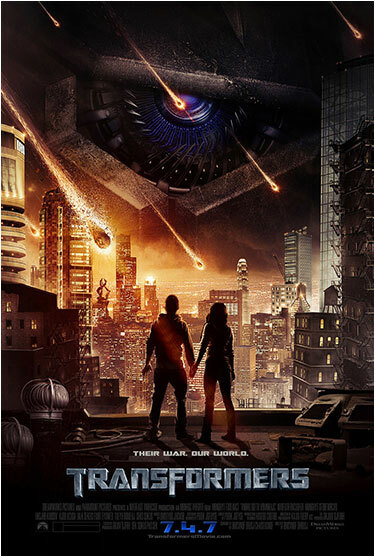 Like the movie before it, this new series also featured a radically different look for our robots in disguise. And while initial reactions to the more campy and cartoony look was mixed, the series eventually won most fans over with its smart writing and production. Anyway, while definitely inspired by the original movie design, it was quite interesting seeing Blackout reimagined in this more stylized animated look. And it was even cooler when Hasbro actually released a toy of this new Blackout. Finally, with the current movie franchise seemingly coming to an end and a new reboot looking more inevitable, Hasbro has decided to double down (maybe a last hurrah?) on this current movie iteration of Transformers with their Studio Series toy line launched in 2018. 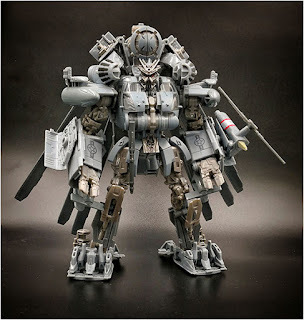 The Studio Series features a lineup of more accurate toys of characters from the live action movie franchise and one of the highlights is a much needed upscaled version of Blackout. As nice as the original movie Blackout toy was, one major problem was that it was way out of scale with the other characters...it was puny. 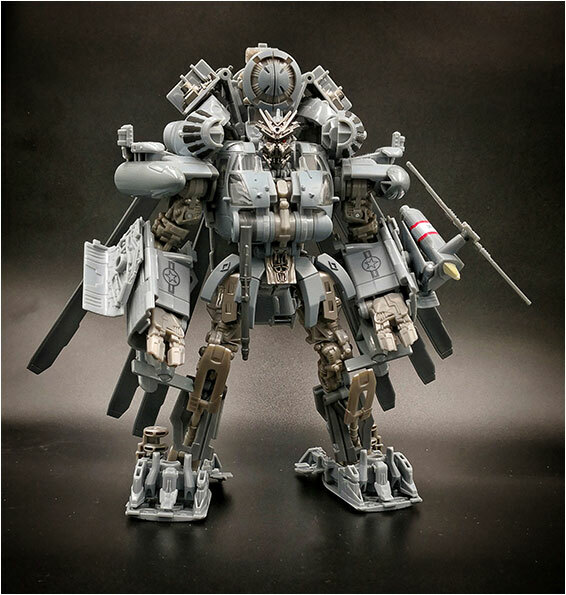 So for years, a larger leader class Blackout was on the wishlist of most fans of the Transformers movie toy line. And finally over 10 years after Blackout made his on screen debut, Hasbro finally gave us what we wanted...sort of. Unfortunately, while this version is a definite improvement from the original toy, as far as leader class sized Transformers go, he is still, small. 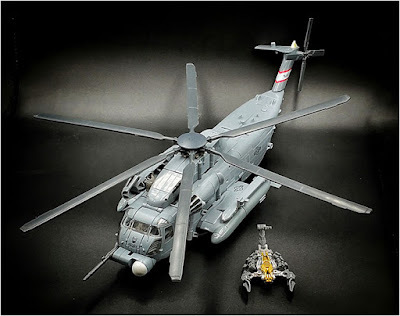 Most likely due to modern day rising production costs, in order to maintain details and better engineering, Hasbro opted to produce smaller toys. 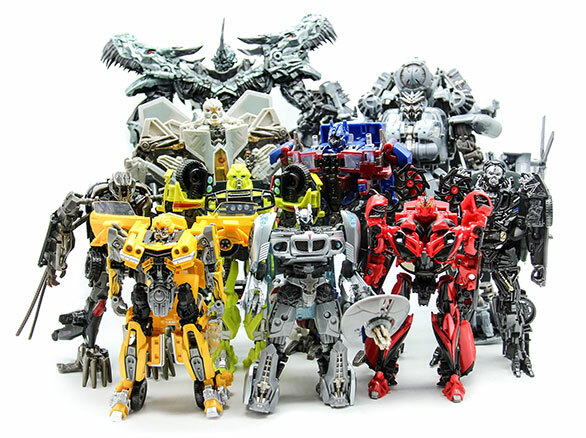 So while this new Blackout is “in scale” with the rest of the characters in the Studio Series line, he he’s still kinda tiny next to older movie Transformer toys. Despite its smallish size though I do think it’s a pretty good and accurate plastic rendition of this original movie character. And it’s almost good enough to convince me to sell off most of the older movie line Transformers and go all in on this new Studio Series instead…..almost.